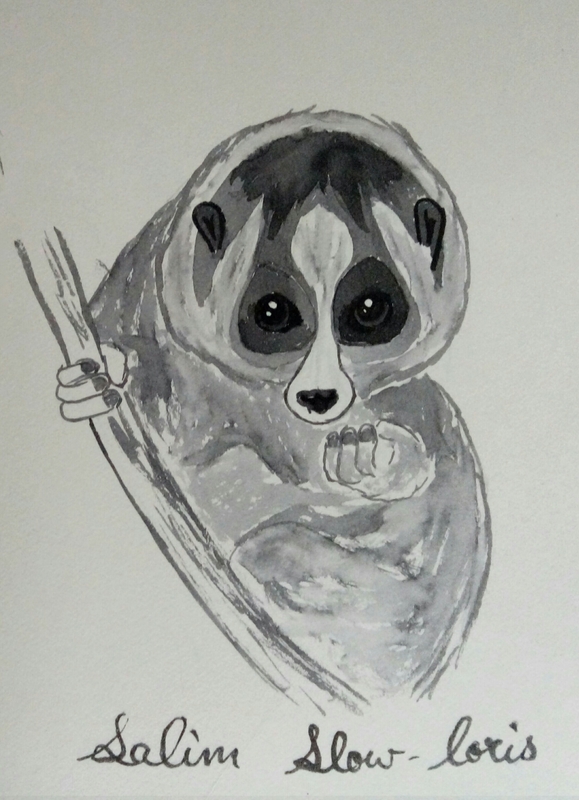 Salim Slow-Loris is a quick thinker among his people. He thinks fast, but takes action very slowly. He claims this allows him to consider many outcomes of his actions and act according to the best possible outcome. His critics claim it merely saves him embarrassment by avoiding confrontation, and letting him gauge what other Slow-Lorises think on any issue. As a clan-leader, Salim is slowly losing popularity as a result of his apparent ‘diplomacy’, but he doesn’t let it bother him to much. In this age of instant uploads and the immediacy of social-media-sharing, he is happy to take his time, ruminate and make decisions. Salim is much younger than most Lorises in his clan, and was initially criticized by older Lorises for his age and assumed hot-bloodedness. Now the older Lorises have joined with the younger ones in criticizing Salim stolid slow ways. He may not remain clan-leader much longer… elections are coming up soon. Salim is however quite stoic about it. He says remaining in power would have been proof of his being unfit for the job. Salim has a small group of friends who meet regularly to debate and discuss world issues. They don’t agree on much, but they try to respect each other’s opinions and listen to opposing views.